I had quite a bit of duct tape left after making the headband holder, so I decided to dress up a composition notebook I had lying around. It only took about ten or fifteen minutes and is pretty self-explanatory: apply strips of duct tape to the notebook! I do have a few tips for you: make sure the edges hang over the cover, so you can fold them under. Do the front and the back first, and the spine last. Mostly, this post is just for inspiration. 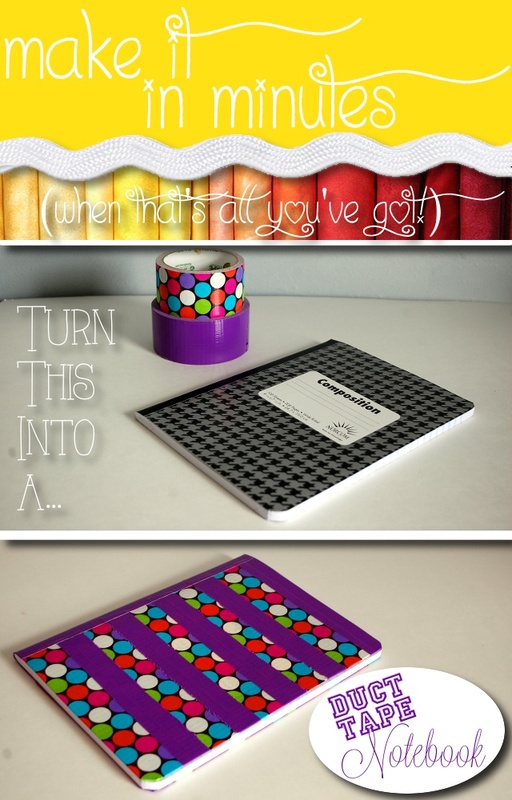 You don’t have to use mod podge to get a fun, sturdy covered notebook!